Hypertension (HTN) is a sustained elevation of arterial blood pressure and typically high blood pressure (HBP) is defined at ≥ 140 mmHg/90 mmHg (systolic/diastolic). Blood pressure gradually increases as people age but hypertension onset generally occurs between the ages of 20-50 years old. People who have HTN are at risk for cardiovascular disease (CVD), heart attacks, kidney disease, and strokes. 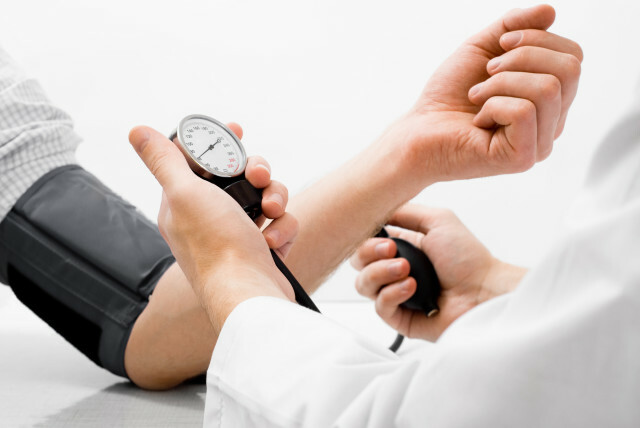 Since the prevalence of having high blood pressure is estimated 41% of people aged 35-70 years globally and the adverse consequence is life threatening, early diagnosis and treatment are critical. Common symptoms: Asymptomatic (showing no symptoms) and headache (in severe cases). Studies have shown that chiropractic adjustment specific to the first spinal vertebra called atlas (C1) can lower blood pressure significantly. The atlas is located right underneath the cranium holding the head. Therefore, atlas is closely related to neural pathway of the brainstem and major arterial structures go through the atlas. Please get your upper cervical assessed from upper cervical pain management chiropractor at Chiropractic Concept of Bellevue. Other additional treatment options such as bracing and stretching should be considered after examination and consultation with your chiropractor.